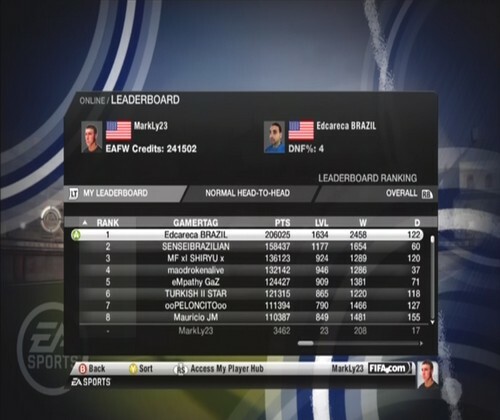 The ranking system in FIFA 10 is basted on a point scale, with points being rewarded after games not only in consideration with whether you won or lost, but also how you performed overall. Below is a list of all the factors which affect how many points you are rewarded after the match. Most players don't typically use the controls offered by the D-pad, some don't even know what the D-pad is capable of doing. The D-pad is very useful, especially if you are a good tactician from watching real-life football. 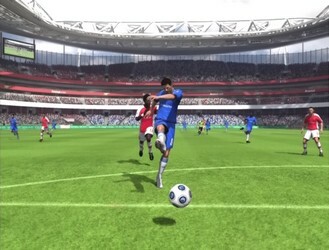 In FIFA 10, the D-pad has two sets of controls. The first one being quick tactics, which requires you to press up on the D-pad, and then select your tactic with whatever direction on the D-pad it is set to. 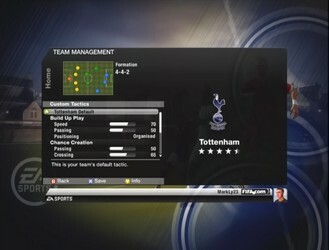 There are four quick tactics to choose from and can be set to a direction from the Team Management screen of any team.